So what’s the difference between online user feedback and online reviews? The main distinctions between online user feedback and online reviews are the kind of data being collected and how it is processed. Online user feedback is intended for those looking to extract insights into all aspects of the online customer journey. It predominantly sheds light on any potential barriers that online visitors encounter which may prevent them from reaching their goals on either a page or funnel level. Once this feedback is collected, it is then processed in a closed, analysis platform (for internal analysis), meaning that it is not visible to the public (only the digital team working with the feedback results). On the other hand, online reviews focus on building up an online presence and trust, while simultaneously learning what visitors think about specific products or services, or even the webshop as a whole. Unlike user feedback, reviews are often shown publicly on websites or third party platforms to gain the trust of visitors. What is Online User Feedback? Online User Feedback is information collected from online visitors or customers about their online experience. These feedback results provide businesses with deep insights into how visitors experience their website or online service, which digital marketers then analyse and use to adjust or improve their websites or mobile apps. Extracts deep insights into main sales drivers such as, online processes, usability, the online customer journey. Provides user with the means to directly optimise funnels and improve the customer journey as a whole. This means that the feedback is collected in the moment and on the web page where a problem might occur, usually based on visitor behavior (rather than afterwards by email or once the product has been delivered). Enables users to reduce the number of dropoffs, e.g. 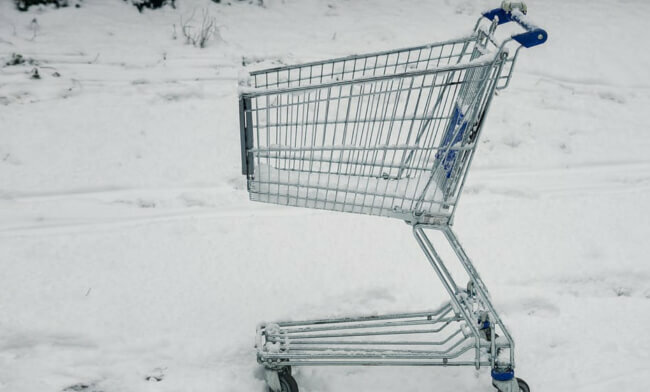 shopping cart abandonment, using exit feedback forms that catch the user before they leave. By asking them at that precise moment, you can gain insight into why they’re leaving the page or what is preventing them from reaching their goal online. Reduces the pressure on your telephonic customer service team. Because feedback is captured on a page level, it’s possible to pinpoint if visitors get the content they need and whether they can easily reach their online goal. With these specific insights you can easily avoid unnecessary phone calls. Generates real-time and relevant leads. For example, when an issue arises, by asking for contact details along with the feedback, you are provided with a direct lead and chance to rectify the issue your visitor is having in the moment. Read more here about the ROI of feedback. With online user feedback, users are looking to identify and rectify issues that occur on their website or mobile app. They do this with a focus on increasing conversions and improving the online customer experience. These are issues such as bugs, missing information, problems logging in, and weak content that can potentially result in a poor customer experience. These goals differ greatly from online reviews in that they focus on improving the CX rather than just a product or service itself. Online user feedback also digs into deeply-rooted website issues that online reviews only tend to graze over. Mopinion is an online user feedback tool that helps users to collect, analyse and take action on online feedback. With real-time data visualisation in customisable dashboards and charts, users can extract deep insights into the customer experience. These insights can reveal how your business is performing, for example, in terms of digital content, online sales funnels, user experience and customer loyalty. Kampyle is another online user feedback tool that can be used to quickly create feedback forms. Once all forms are in place, you can track how your visitors experience different parts of the website. You can also trigger feedback forms to appear in a proactive manner as well as decide who is presented with the form, e.g. an x percentage of visitors or if a visitor shows exit intent. Another online user feedback tool is Feedbackify. This tool allows users to create feedback forms themselves and collect ratings (such as NPS) accompanied by comments (e.g. compliments or suggestions). All feedback can be viewed in a real-time dashboard and here users can filter by category or subcategory. Online Reviews are comments made by online visitors or customers about a product or service. These reviews, often referred to as ‘social proof tools’, are essentially pieces of User Generated Content (UGC) that are intended to help businesses build up an online presence as well as trust among their visitors. 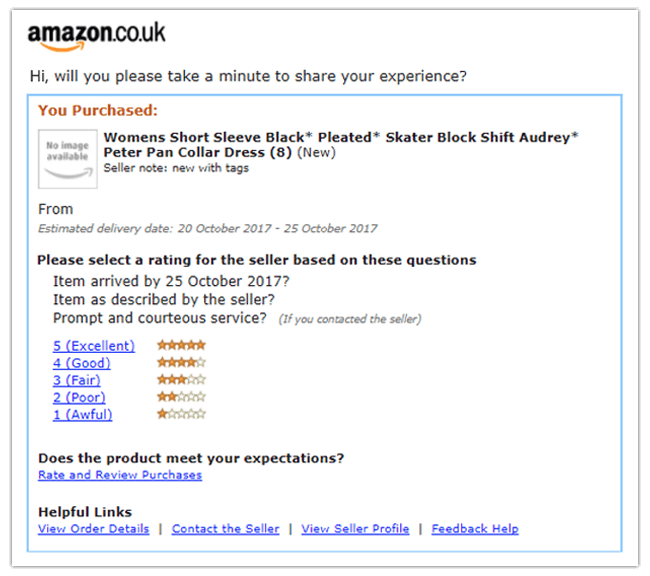 Unlike user feedback, where the user can provide feedback during online funnels, online reviews are typically left afterwards (e.g. once a purchase has been made or the item has been delivered). These reviews are often related to a product in a webshop, the webshop itself, or the overall shopping experience. For example, if you purchase an item on Amazon, you will often receive a follow-up email days later with some questions about the product and/or the delivery process. Nearly 90% of consumers read online reviews, so there’s no denying their popularity. But what exactly do they provide users with? With online reviews, the goal is all about online reputation and establishing a strong online presence, which is why they are almost always made public for visitors. This is a stark contrast to user feedback which is kept private on a closed platform. Many users also collect reviews because they are often sent to search engines to improve search engine ratings and click through rates – which again, links back to visibility. This differs greatly from online user feedback in that online reviews are used to rate products and services particularly, while user feedback is collected to improve online processes and the customer journey. TrustPilot is a very well-known online review software used by many businesses to build up trust with customers. With this tool, users can upload their mailing lists into the tool and send out an email inviting customers to review them (this can also be set up so that it’s sent out right after a customer has made a purchase). Reviews are fed to search engines (e.g. Google or Bing) which updates your Google Seller Rating – therefore improving visibility in both search engines and online ads. Feefo is online review tool that is very similar to TrustPilot. 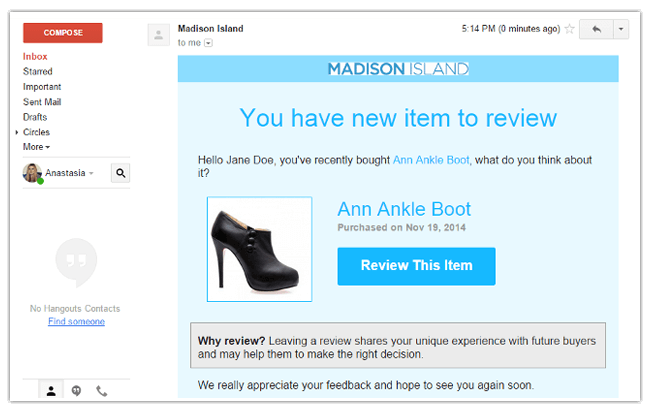 In other words, users can send out emails inviting customers to provide reviews. They can also choose to customise the display of these reviews on their website with: rating percentage display, text display and star rating display. Additionally, the dashboard provides integration tools such as an API and a Facebook app for social sharing. ReeVoo is a one of the more high-end online review tools out there. The difference between the other tools and ReeVoo is that the more high-end tools often also offer assessments at a product level, instead of just generic webshop reviews. This software runs on-site on product pages in order to show several reviews at product level. Your visitors can choose to filter on the most relevant reviews for a product. If they still have a question about a review, they can ‘Ask an Owner’. As you can see, online user feedback and online reviews are worlds apart. One is for collecting deep insights into your online journey, while the other is catered solely to building up trust and loyalty among customers out in the open. So why not combine the two? If you have already worked with an online review tool and you’re looking for deeper insights into the online experience, try giving user feedback a try. And vice versa, those who already employ user feedback forms on their website or mobile app and are looking to win over more ‘social proof’ ought to consider an online review solution to complement their existing feedback programme.